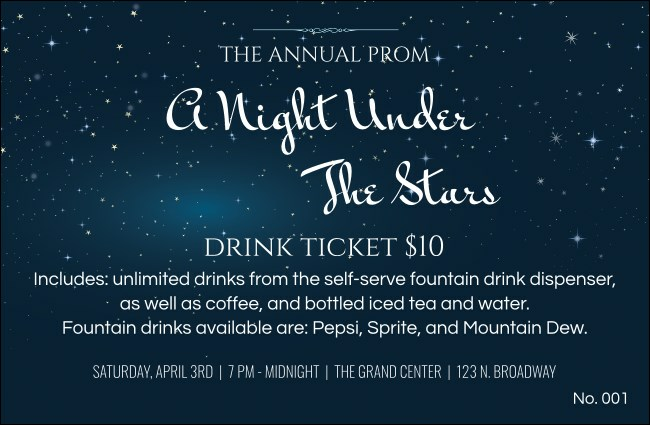 Enjoy an evening under the gorgeous night sky with the Star Theme Drink Ticket. A navy blue galaxy holds bright shining stars, with white and light blue script for your event information. Make it a stellar evening by ordering corresponding templates in a Matching Event Kit!